The federal government has issued guidance to Canada's spy agency on using contentious new anti-terrorism laws. OTTAWA — The federal government has issued guidance to Canada's spy agency on using contentious new anti-terrorism laws — but most of the instructions won't be made public. 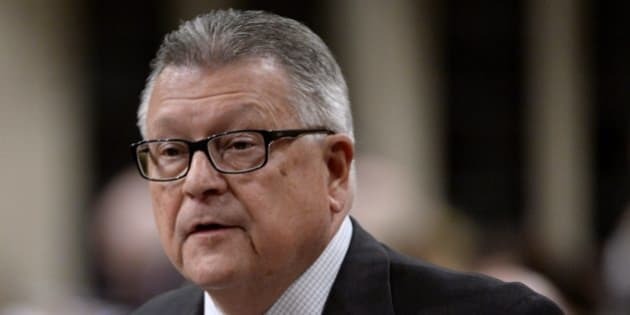 "One of our greatest concerns with C-51 is that CSIS has been given extraordinary new powers, including the power to break the law and violate the Constitution,'' said Josh Paterson, executive director of the British Columbia Civil Liberties Association. "While some details need to remain secret, it's troubling that so much of the minister's high-level, general direction to CSIS on how the agency should interpret its new powers is blacked out. The government should be more transparent about the direction it is giving our spy agencies as to how they should be accountable." The direction set out "overarching parameters for CSIS's use of its new powers'' under C-51 and Bill C-44, which addressed matters including source protection and use of judicial warrants, says a July 29 memo to Blaney. Elements of the direction that were released to The Canadian Press mention fundamental principles CSIS must follow, including respect for the rule of law and the use of operational methods "reasonable and proportional'' to the threat. The direction also stresses the fair treatment of human sources who help CSIS and says the spy service's activities abroad must respect Canada's foreign policy interests as well as the security of overseas missions and personnel. "The really interesting stuff, I'm sure, is in the redacted portions,'' said University of Ottawa law professor Craig Forcese, co-author of "False Security,'' a book critiquing C-51. Forcese said the direction should include things like guidance to CSIS about being careful not to step on the RCMP's toes and potentially derail a criminal prosecution. "I think we need to know some of these details,'' said Forcese, who questioned classification of parts of the direction as cabinet secrets. "Avoiding political interference or the appearance of it is crucial for the integrity of the regime." Scott Bardsley, a spokesman for Goodale, said responsibilities for Access to Information requests are delegated within each department and are processed outside of ministers' offices. "Avoiding political interference or the appearance of it is crucial for the integrity of the regime. We don't have a comment on particular decisions,'' he said.